Logistics is one of the key building blocks of modern economies. Logistics is by far not only the connection and distribution ressources, products and consumption, nowadays logistics comprises a broad variety of additional services relating to the manufacturing industry. 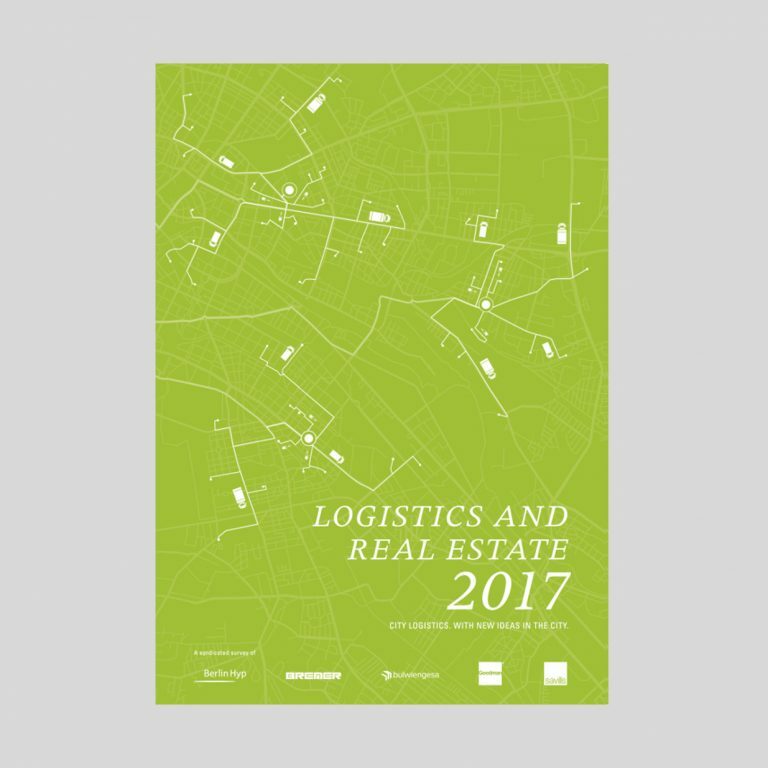 Logistics is the elementary component of supply-chains – enabled by specialised logistics real estate. 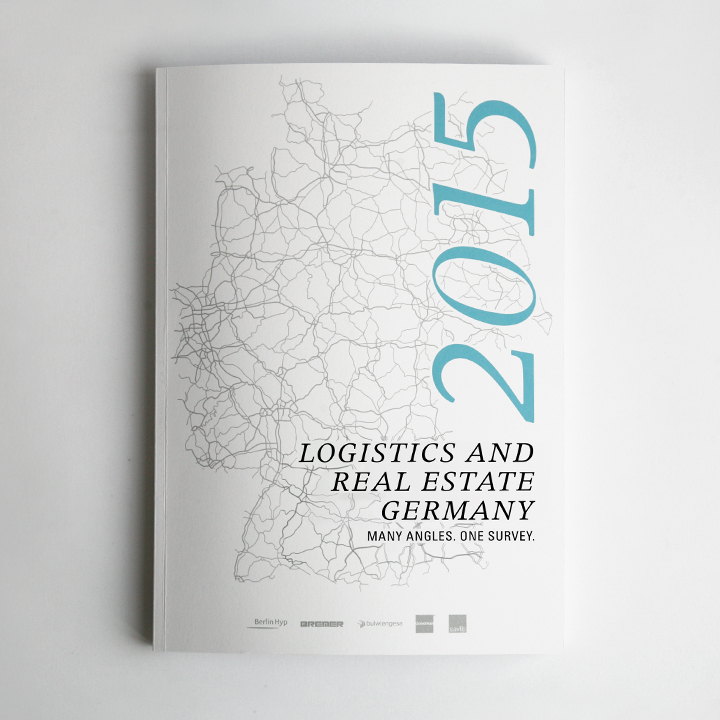 Germanys logistics real estate market however is still quite intransparent. 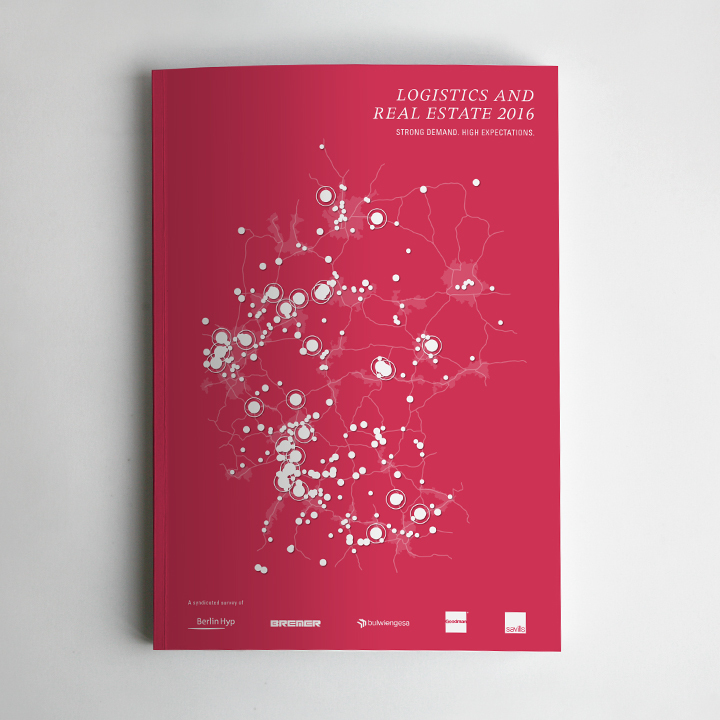 All partners of this study are united in the goal to imrpove transparency on the German logistics real estate market. City Logistics. 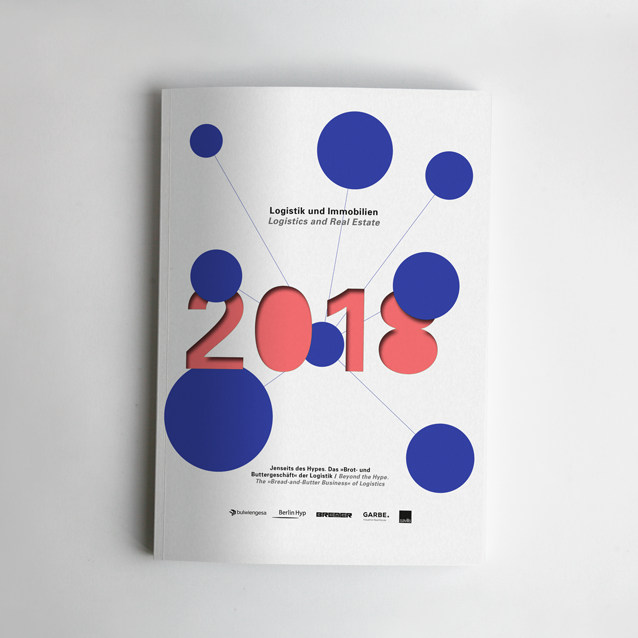 With new Ideas in the City. "The survey represents a combination of market overview, insights and outlook, and is therefore intended as both compass and decision guidance for our customers – be they occupiers or investors." Berlin Hyp specialises in large-volume real estate finance for professional investors and housing societies, for whom the Bank develops individual financing solutions. For over 70 years, BREMER has raised buildings within every kind of performance envelope from shell & core to turnkey solutions. Based in Hamburg, Garbe Industrial Real Estate GmbH is one of Germany’s leading companies selling and managing logistics real estate and multi-let properties of the Unternehmensimmobilien type. Based and listed in London, Savills is one the leading, globally active real estate service providers domiciled and listed in London. bulwiengesa AG is one of the major independent analytics firms for the real estate industry in Continental Europe and provides bespoke strategic real estate related consultancy services. You are interested in our surveys, have questions regarding logistics real estate or would like to team up with our competence centre? We look forward hearing from you. The Regional Court of Hamburg ruled on 12 May 1998 in article 312 O 85/98 “Liability for links” that through publishing a link on a webpage, responsibility is taken for the contents of the linked page. This can only be avoided by expressly distancing oneself from the contents of the linked pages. We therefore dissociate ourselves from all contents found through the above links, the servers behind them, further links, guest books and all other visible and non-visible content. If one of the pages on the relevant servers is in violation of any applicable law, this is unknown to us. Upon appropriate notification thereof, we will naturally remove the link to the appropriate server. This website uses Google Analytics, a web tracking service provided by Google Inc. (“Google”). Google Analytics uses what are known as “cookies”, text files that are stored on your computer and can be used to analyse usage of the website. The data generated by the cookie about your usage of the website will usually be transferred to a Google server in the USA, where it is saved. If IP anonymization is activated on this website before data is collected, your IP address will be shortened by Google within the European Union Member States or the other signatory states of the Agreement on the European Economic Area. Only exceptionally will the full IP address be sent to a Google server in the USA and then shortened. Google shall use this information, on behalf of the provider of this website, to evaluate your usage of the website, create reports about the website activities and supply the website provider with further services associated with the website usage and internet usage. The IP address transmitted from your browser within the scope of Google Analytics shall not be consolidated with other data from Google. You can prevent cookies from being saved by activating the corresponding browser software settings; we would like, however, to highlight that this may mean that not all of the website’s functions will be fully available. Furthermore, you can prevent collection by Google of the cookie-generated website-usage data (including your IP address) and the processing of this data by Google by downloading and installing the browser plug-in from the following link (http://tools.google.com/dlpage/gaoptout?hl=de). Further information on conditions of use and data protection can be found at http://www.google.com/analytics/terms/de.html (link is external) or at https://www.google.de/intl/de/policies/ (link is external). We would like to point out that on this website Google Analytics has been extended by the code “gat._anonymizeIp();” to ensure the anonymized collection of IP addresses (known as IP masking).